Popular pedal builder TC Electronic is apparently set to produce a new pedal based on the classic chorus section of the Roland Juno-106 synth from the '80s. 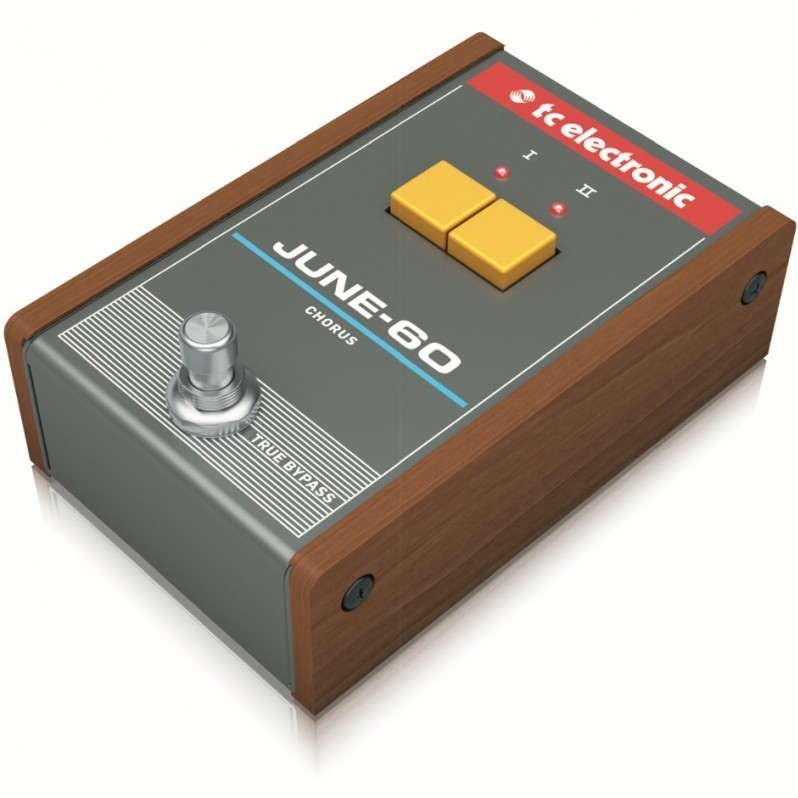 Dubbed the "June-60," this pedal was first seen at the Guitcon convention in September, and word of the prototype's existence has been circulating on social media and through various gear blogs in the weeks since. It remains unclear if TC Electronic is already planning on a full production run of this design or if the release of the prototype is just meant to gauge interest. As of 2015, TC Electronic has been owned by Behringer, a company that's widely known for producing gear based on designs from other companies. Hosted in Markneukirchen, Germany, Guitcon brought together a who's who of YouTube guitar personalities, and as you might expect, there was at least one demo of the pedal shot on the floor which you can see below. Props to the Effects Database Instagram account for clueing us into the new image.